This Children’s book is available in both print and ebook formats. When the Malornian army invaded Alasia and Prince Jaymin was forced to flee for his life, what happened to those left behind? In the Enemy’s Service tells the story of ten-year-old Anya, imprisoned among other survivors and forced to work for the occupying troops. While pretending to follow orders and serve diligently in the palace, Anya discovers ingenious ways to spy on enemy officers and slip valuable information to the Alasian resistance. But as she helps to craft plans that may eventually free Alasia, Anya accidentally uncovers a disturbing reference to her own family. Her fears are strengthened when she is confronted by a mysterious Malornian who seems somehow to know the truth behind the role she has been playing. Holding her life in his hands with that knowledge, he claims to bear information implicating her father in the betrayal that led to the Invasion itself. It’s the sequel to my first book, Prince of Alasia. I wanted to take a look at what was happening elsewhere in the kingdom at the same time as Prince Jaymin’s adventures and answer some of the questions readers might have at the end of that book. Twelve-year-old Prince Jaymin, heir to the throne of Alasia, barely escapes with his life when invaders from neighboring Malorn attack. Accompanied by Erik, his young bodyguard and friend, Jaymin flees to a nearby town to live in hiding. There, coming face to face with the hardships suffered by the poor, he determines to improve his people’s lives someday when he takes the throne, assuming he can reclaim his kingdom. In his struggle to retain his identity and yet blend in with children in the local school, Jaymin’s life depends on his ability to protect his secret from both enemy troops and unsuspecting townsfolk. Meanwhile, Erik must resort to his skills in unarmed combat to defend Jaymin against everyone from a gang of schoolyard bullies to the Malornians who regularly patrol the streets looking for trouble – and for the missing prince. 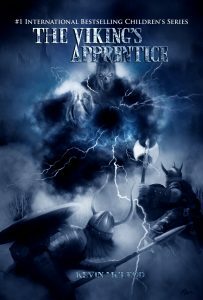 As the search intensifies and his enemy’s suspicions grow, Jaymin seeks desperately for a way to save his kingdom and himself. 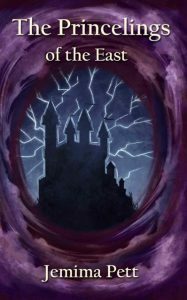 Then he stumbles upon a startling discovery that will challenge his assumptions and forever change his view of Malorn and the events that altered his life. I had an interesting dream one night and woke up thinking I ought to write it down. After numerous revisions, it turned into the story of Prince of Alasia! 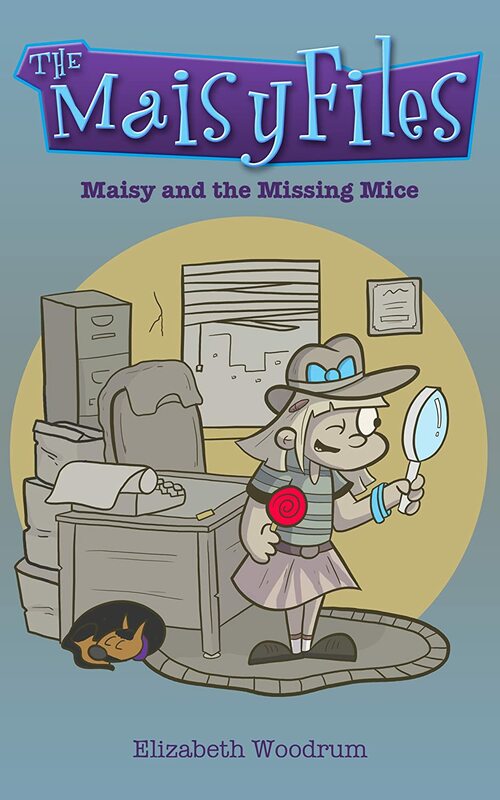 Dive into Maisy’s world of mystery and lollipops! Ballet and baking pies – these are two of twelve year old Georgie Harris’ favorite things. When her parents decide to move closer to her grandmother’s nursing home, Georgie quickly learns the bad news: dance lessons are too expensive in this new town. Georgie spends most of her time baking pies to bring to her grandmother at the Willow Lakes Nursing Home. There she meets Eve, who inspires Georgie with stories of having danced with a world famous Russian ballerina many years ago. As Georgie and Eve’s friendship evolves, their tales intertwine in this feel good story showing dreams really can come true. Set in 1995, The Stable House follows an 11-year-old girl’s first three months of junior high school. Besides learning to adjust to a new school and a new set of social rules, Heidi Williams must cope with growing apart from her adopted older brother and becoming temporarily homeless after her home is destroyed by a fire, separating her from her close friendship with her elderly neighbor, Violet, and Violet’s young niece, Jenny. While at the house that she and her family borrow while theirs is being rebuilt, she meets Dorothy and Stacey, two seventh grade girls who welcome Heidi into her into their group where she learns to adjust to life as a pre-teen. In this delightful middle-grade thriller, 13-year-old Chase and his younger brother Andy learn family secrets from their grandfather about their family’s magical heritage – and seek to find out the truth about whatever happened to their missing father. “Haberman’s story is filled with clever and funny magical details which will definitely capture the imaginations of Middle Grade readers. The “House of Magic” is an amazing place, with magical rooms, floating staircases, and endless spaces to explore . . . and seemingly endless ways kids can get into trouble! At the house, Chase and Andy learn to perfect their own magical powers. They also learn the history of their family, the Tinkers, who have battled a Dark Enemy for generations; always fighting to preserve the mysterious “Relic” that holds the key to their magic. This novel is appropriate for readers aged 10-14. There is no inappropriate language, and while there is an element of violence and heavy doses of suspense, I found nothing objectionable. There is a hint of romance between Chase and Persephone, but no overt sexuality. I see this as the kind of novel that both boys and girls will embrace, which is rare for children’s literature. It’s well-written, professionally edited, and tightly plotted. I recommend it highly.” — Amazon reviewer. Author of the MG/Tween fantasy “Chase Tinker and the House of Magic (The Chase Tinker Series, Book 1),” Malia loves dancing, writing, reading, sunsets, ladybugs, playing video games on her iPad, Seahawks football, pizza and chocolate. She also has terrible motion sickness and hates onions. She’s always wanted to have the ability to teleport and the power to move things with her mind. She lives in the Seattle area with her four wild and crazy ferrets, and is currently working on the 4th and last book in her series. In a future where growing your own food is against the law, three young friends risk their safety by studying the illegal subject of gardening. The children’s mentor, an elderly acquaintance named Ana, entices the children with her description of the food she knew as a child–food unlike the square, processed, packaged food they have always known. Constantly watching, however, is GRIM, the government agency that controls the nation’s food source and keeps in check all potential troublemakers. When Clare and Dante return home one day to find their tomato plant seized, and their mother jailed, they bolt, leaving behind Lily and Ana. 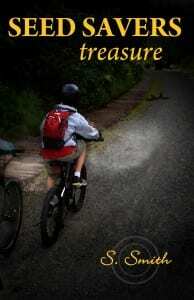 Clare has heard of a place called “The Garden State,” and with their bikes, a little money, and backpacks, the children begin a lonely cross-country journey that tests them both physically and spiritually. Will they succeed in their quest to find a place of food freedom? And can they, only children, help change the world? Book 2, Lily is available now. Book 3, Heirloom coming this fall. I think this topic, in fiction anyway, is fairly unique. A lot of things are going on right now around the world in relation to food security and patenting of seeds, but I haven’t seen any fiction on the subject. Write more; read more. Give your dream a chance. S. Smith grew up on a farm with a tremendously large garden. She maintains that if you can’t taste the soil on a carrot, it’s not fresh enough. Although she now lives with her husband, children, and three cats in the city, she still manages to grow fruit and vegetables on their lot, as well as tend to a couple of egg-laying and friendly hens. Smith has been writing since she could hold a pencil, although the lettering she left on her grandmother’s books sometimes contained a reverse capital R. In high school, she won awards for her poetry and short stories, and later was an editor on her college newspaper. Upon graduating with a degree in Communication Arts, Smith accepted a job at a small newspaper in eastern Oregon. She later declined the offer, choosing instead to teach English in China. Though she had an idea for a novel or memoir back then, the only writing produced were the many letters home detailing her exploits to friends and relatives. After China, Smith spent many years teaching in private and public schools, filling hoards of notebooks with her writing–though mostly lesson plans. Along the way, she has written essays, newspaper articles, children’s books, and poetry, very little of which she bothered to publish. S. Smith currently devotes more time to her writing, resulting in a weekly blog, two complete novels, and two more nearly finished. Ms. Smith is a member of SCBWI (Society of Children’s Book Writers and Illustrators) and an OSU Master Gardener. She gardens and writes at her home in the beautiful and green Pacific Northwest. I was inspired to write the Seed Savers Series after viewing the documentary Food, Inc. I didn’t know what a “seed cleaner”, as an occupation, was and fast-forwarded to a future where the younger generations no longer knew about seeds, or real food.